Did you know? is the voice of East Leake Traders. 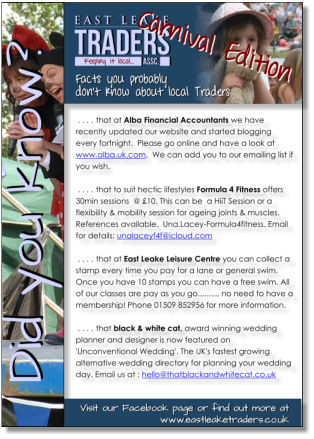 Published three times a year the leaflet highlights information about Traders, special offers and services. Did You Know is available free of charge at retailers such as Something Special or The Greengrocer or can be downloaded from here.